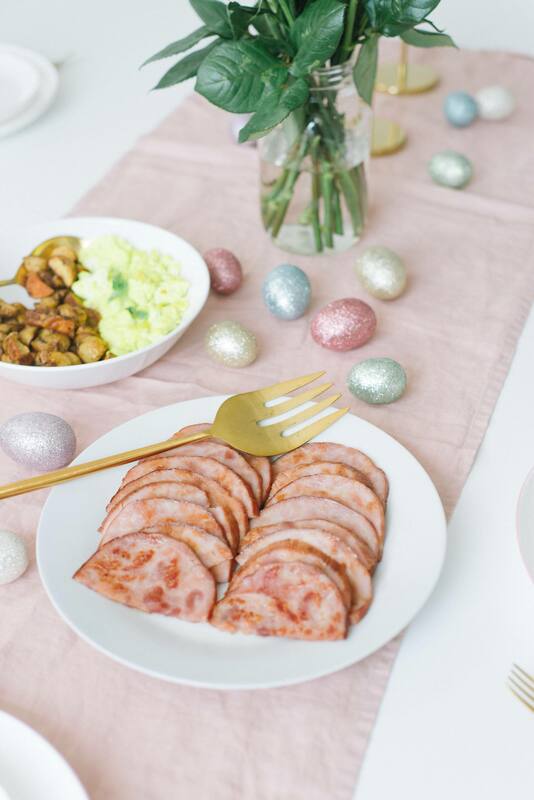 Easter is just around the corner so I thought I’d share an Easter brunch idea for kids. Green eggs and ham! This has always been Max’s favourite book which is kind of ironic considering he’s our pickiest eater, haha! 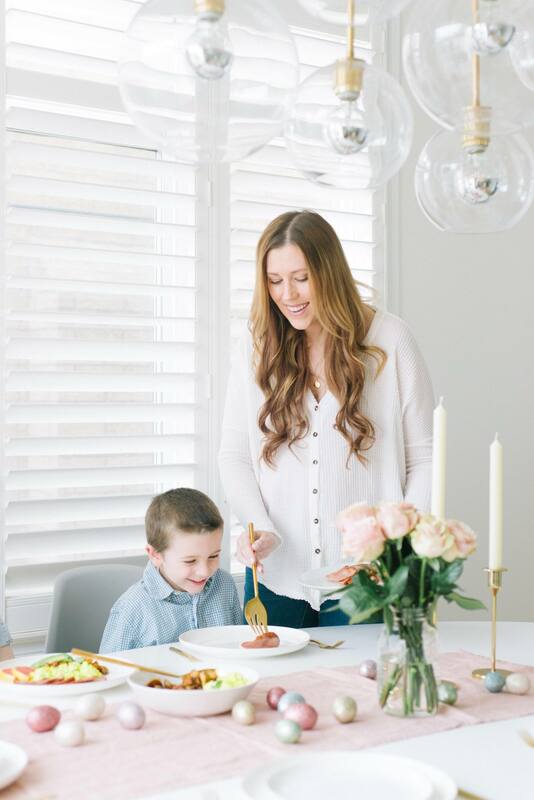 One thing that seems to get him excited for meal time is when we put a playful spin on classic foods we know he’ll love. 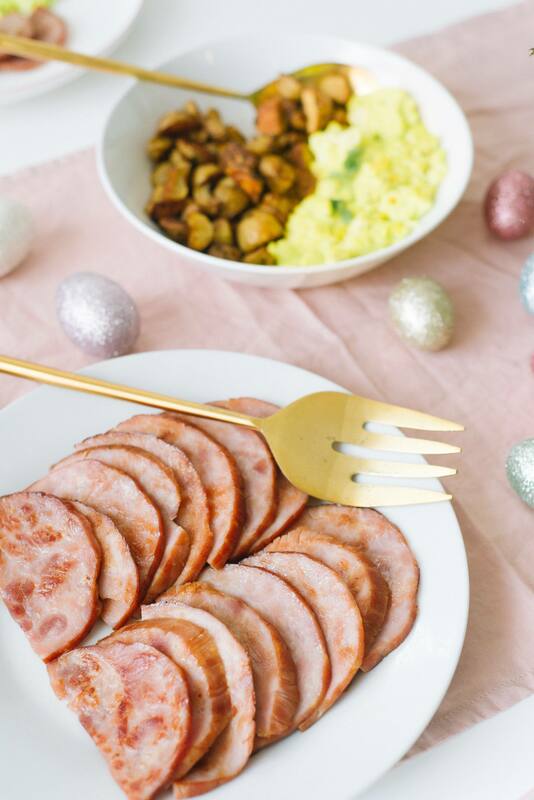 We thought pastel green scrambled eggs and a yummy side of ham would be very fitting for Easter brunch and a fun surprise that the kids would most definitely gobble up. If you’d like to whip this up for your kids kiddos this Easter all you have to do is add a few drops of green food colouring to your scrambled egg mixture as you cook them, we did three drops but just eyeball it as it’ll depend on how many eggs you’re making. Then simply slice up and fry some Honey Smoked Ham by Maple Leaf. If your kids haven’t tried their Honey Smoked Ham yet then they’re in for a real treat, it’s delicious! 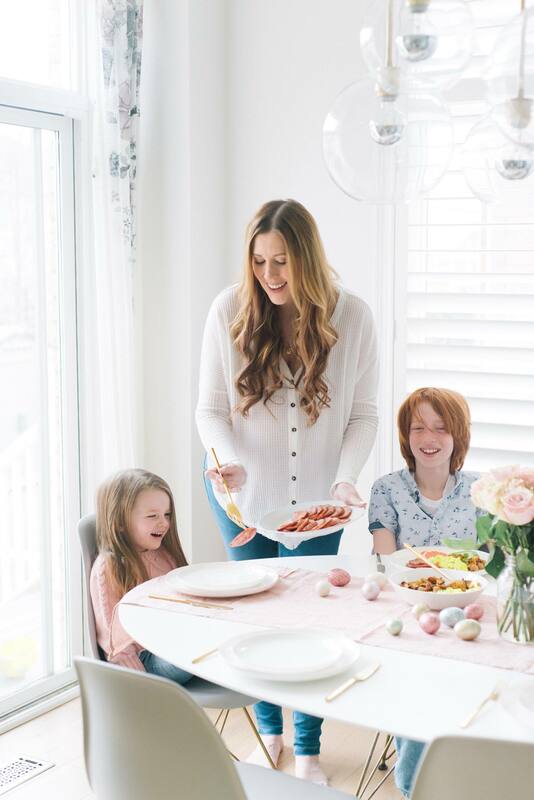 Our kids absolutely love it for dinner and brunches and the best part is – their products are all made with REAL, simple and natural ingredients so you can feel good about feeding them to your family. To finish things off we round the meal out out with some fruit and fried potatoes and voila! 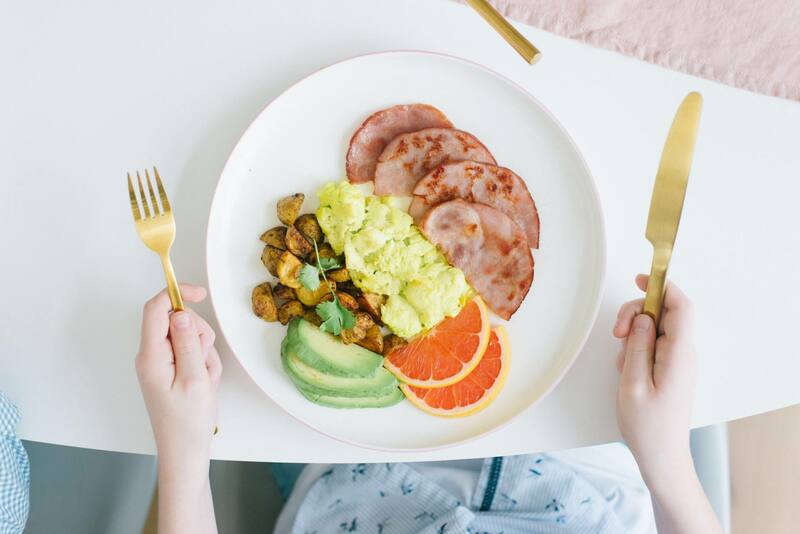 A simple and healthy brunch your kids are sure to love! 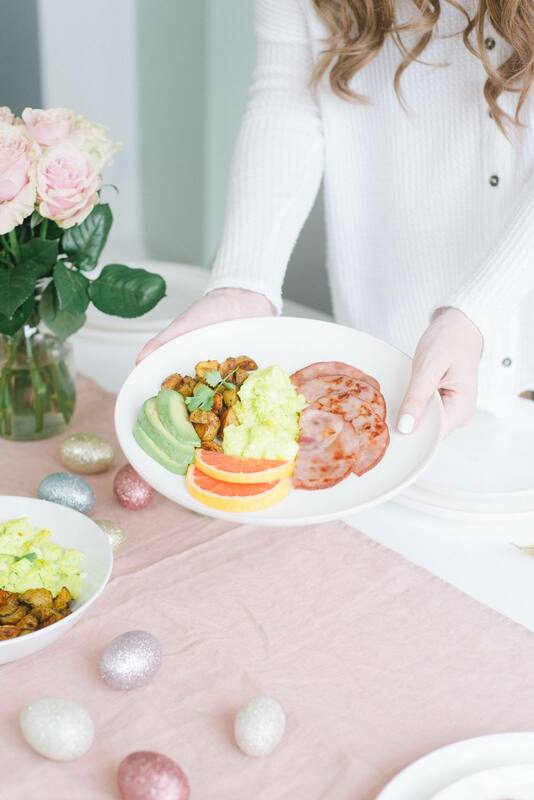 Will you be trying out this Easter brunch idea with your kids? What are your favourite ways to make kids meals fun? This post was sponsored by Maple Leaf however all thoughts an opinions are completely my own.